Principal and Curriculum & Instruction Dept. Monday, April 22. Attendance is so important! Please have students here everyday. Classes with top attendance will receive a movie party! Students with perfect attendance now through the end of school will have their name entered in a drawing for a bicycle. TODAY, April 22, is a student holiday/staff day. The Senior Trip is April 22-26. Friday-Saturday is the Regional Track Meet. Friday, May 3 is the annual Cinco de Mayo performance. The PLISD Spring Fling is Saturday, May 4. Voting Day for the PLISD Bond package is also Saturday, May 4. STAAR Testing begins May 6. 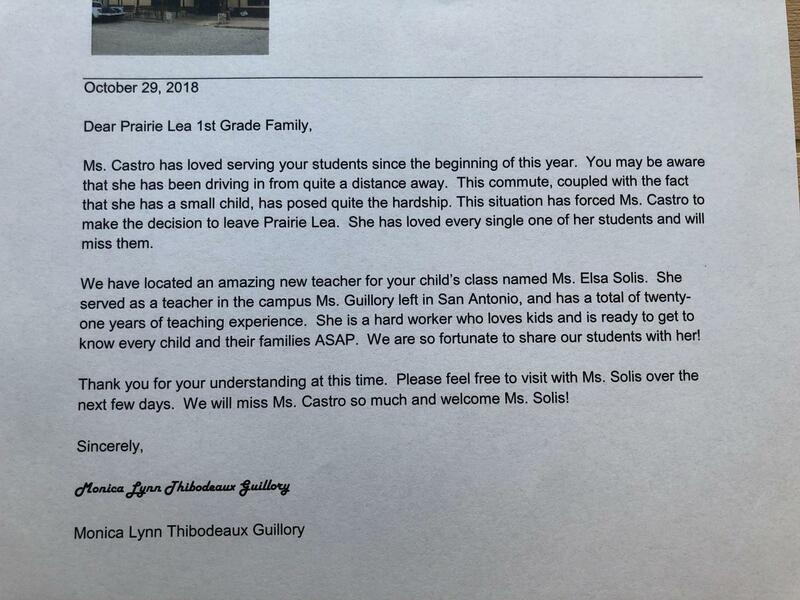 Click on the photo to read Mrs. Guillory's letter about Mrs. Castro leaving and Mrs. Solis's arrival.